Try This… Yin Yang Breakfast! I am falling asleep just looking at this boring bowl. 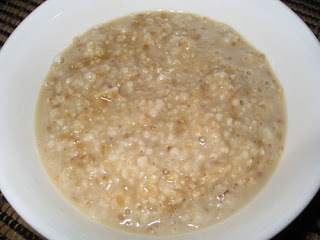 The mix of cool yogurt and hot oats makes for a delicious, creamy, and harmonious meal… Enjoy!